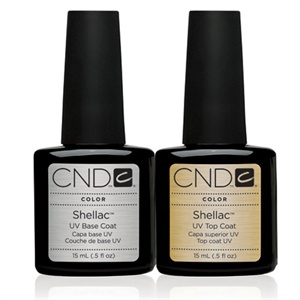 CND has launched larger sizes of the Shellac Base and Top Coats. They are now available in 1/2-oz. bottles and the labels have been redesigned to make it easier to distinguish between the two. The Base Coat is the first step in Shellac applications and is an anchor for color adhesion, and the Top Coat helps seal the color for scratch-free and chip-resistant wear.